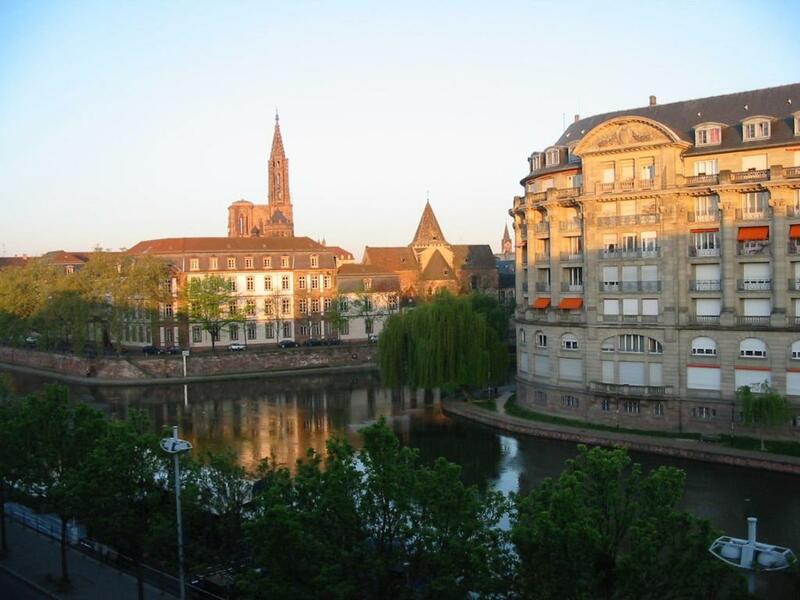 Attractively situated in Bourse-Esplanade district of Strasbourg, Bel appartement avec vue sur quais has a shared lounge and free WiFi. The property features river views and is 400 metres from St. Paul's Church and 700 metres from The Botanical Gardens. The air-conditioned apartment is composed of 1 separate bedroom, a living room, a fully equipped kitchen, and 1 bathroom. A flat-screen TV and Blu-ray player are provided. A bicycle rental service is available at the apartment. Strasburg History Museum is less than 1 km from Bel appartement avec vue sur quais. The nearest airport is Strasbourg International Airport, 12 km from the accommodation. This apartment has a dishwasher, seating area and electric kettle. Please inform Bel appartement avec vue sur quais in advance of your expected arrival time. You can use the Special Requests box when booking, or contact the property directly with the contact details provided in your confirmation. This property will not accommodate hen, stag or similar parties.